The Internet of Things (IoT), is fast emerging as a concept that will immensely impact the way we live our lives as well as the way we work. In fact, IoT is a way to disrupt the way we live. IoT is a system of interrelated computing devices, people, mechanical and digital machines etc. that are marked by unique identifiers and has the ability to transfer data, over a network. The smarthomes of the future will be loaded with the connected devices for making our lives comfortable, easy and convenient. So, we encounter a situation, when you lower the room temperature of your house through the thermostat and a mobile app, before you reach your home. IoT apps are innovative solutions aimed at the smart homes and the smart buildings. They become effective means to bring a reduction in maintenance and energy costs as well as enhances the security aspect. The mobile apps in IoT will solve the issues on security and increased power efficiency. The wearables market is growing at a rapid pace and will reach 14 billion dollars at the end of the year, as per Forbes, for CCS Insight. The top catalyst for pushing the wearables to this extent is the healthcare segment. The power of IoT based mobile apps will help to take care of your fitness regime. The fitness trackers will be using the wearable devices to get a record of their health and exercise statistics. An intelligent IoT enabled house of the future will be able to stop the window light that produces the glare on the window. The monitoring of patients becomes easier with the IoT enabled devices in the medical equipment. This will ensure that the patient who needs immediate attention is taken in account. The business apps for the hospitals will enable to seek more health information, creating operational efficiencies and also streamlining the costs. So, the IoT tech based app development will useful for remote monitoring and even ambulance telemetry. The IoT based app development find lots of application in the smart cities. The sensors will direct us to the available parking spaces. The Garbage collection system based on the mobile apps will inform the system and the garbage will get collected, only when there is a spilled bin detected. 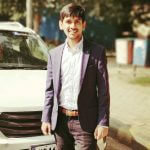 The IoT applications will take help of the ubiquitous connectivity and the power of big data and the analytics. Real-time data will be available from the devices across the smart cities will generate information and newer insights. This way the mobile apps will be able to monitor, control and manage the devices. The IoT for the smart manufacturing is about to ride a new cusp of revolution. The visibility of the things in manufacturing will be enhanced to a great extent. The app development for the smart manufacturing sector will take care of real-time inventory, employee safety and tracking the assets. The IoT based Point of Sale (POS) system will securely transmit the information on the cards. The Internet of Things must be included in the strategies of the companies of the future. This only enables the business to ride over the competition, by using the cutting edge technologies like IoT. The IoT based apps are powerful ways for the brands to build deeper understanding with customers. So, whether it is remote control of your home or forecasting the weather, the best solution are the IoT mobile apps. 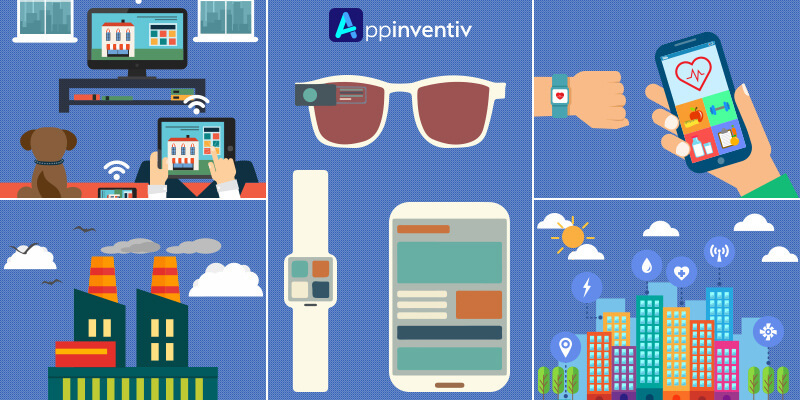 Appinventiv, is one of the top mobile app development companies in India. It is focussed solely towards the mobile app development market, irrespective of the devices including the wearables and the internet of things. The powerful mobile apps developed will engage the customers and bring a positive impact on the bottomline of your business.